ViVi Magazine Sept 2010 x MAC In the Groove Collection ! 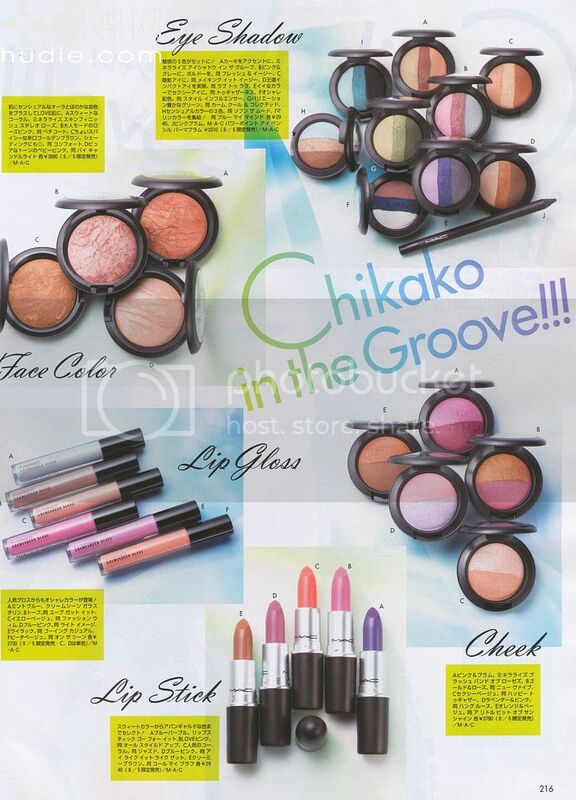 Here are some Vivi magazine scans from the September 2010 issue featuring MAC's In the Groove collection! Enjoy~! Love the photos! And long time no speak sweety! How are you?! can't wait for the new collection! i'm already eying the cotton candy and lilac lip glosses. although ~ i'm not a fan of the eyeshadow packaging ~ how the colors are blended in to one another. She has great lips and love her skin.